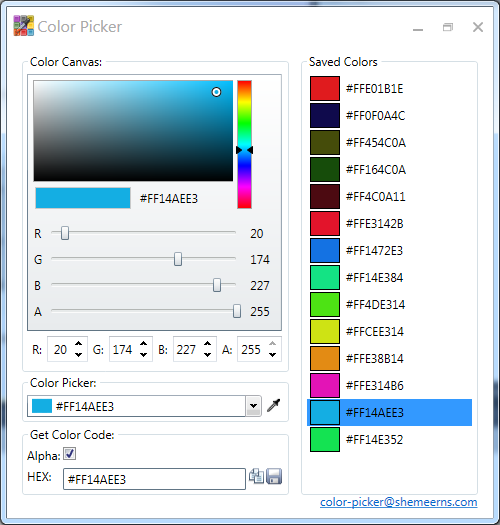 Integrated Color Picker 1.1 released for Visual Studio IDE. 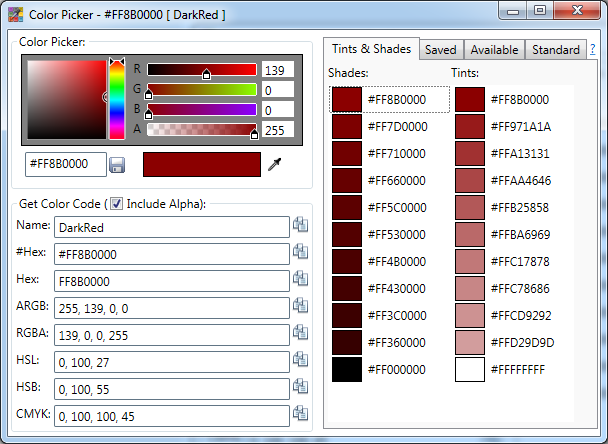 I just released Color Picker version 1.1 with cosmetic and functional changes. If you see the below UI, you will get an idea about the UI changes. Thanks Martin and Eric for the suggestions. Apart from the UI change, I have removed color canvas control ( Extended WPF toolkit) from this version to fix style issue in windows 8 environment. Integrated Color Picker for Visual Studio IDE. This tool will very useful if you are working as a Web Developer or UI designer, who mainly uses Visual Studio for the day to day assignments.